Index is still moving upwards. It looks like right now price is forming extension inside wave . Possibly, instrument may reach new maximums during the day, but later market is expected to start new correction. 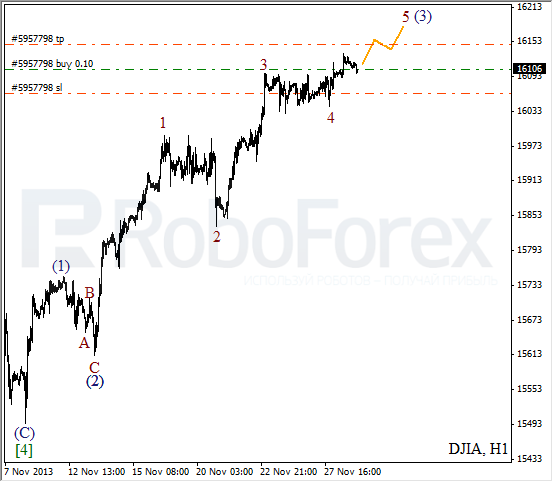 More detailed new wave structure is shown on H1 chart. 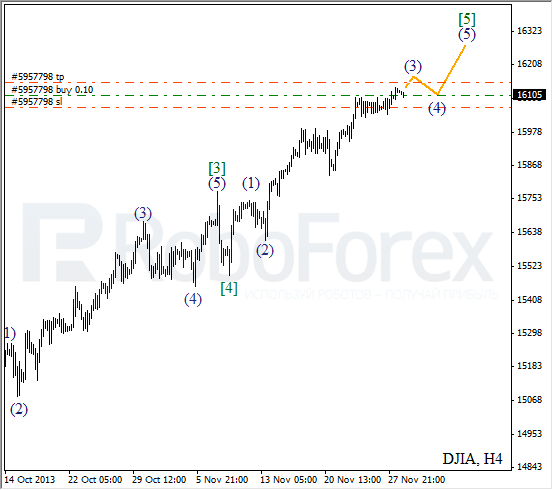 Price is forming the fifth ascending wave inside wave (3). Current chart structure implies that current ascending movement may yet continue, that’s why I’m keeping my short-term buy order. 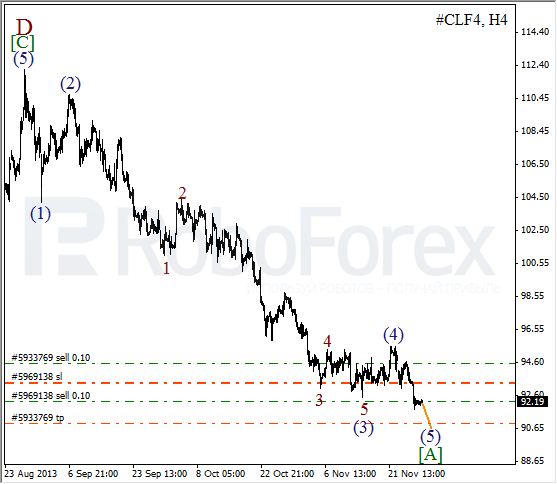 Oil is being corrected, thus giving an opportunity to open additional sell order. Stop onboth orders is already in the black. In the future, I expect instrument to continue moving downwards inside wave (5) of [A]. 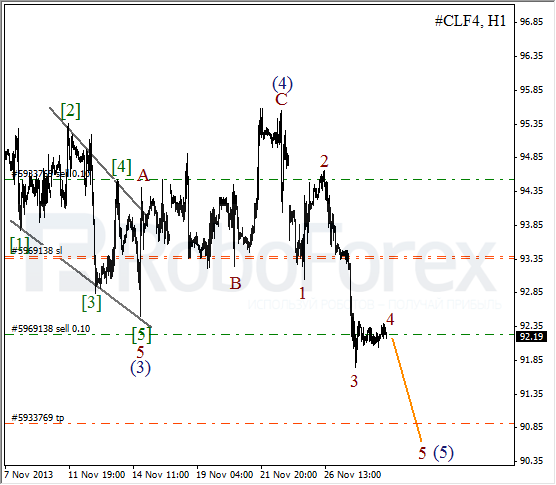 As we can see at the H1 chart, price is finishing the fourth wave inside wave (5). Local correction may complete during the next several hours, so bears may have time to break minimum during Friday.